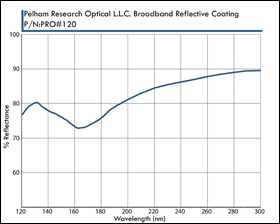 Pelham Research Optical (PRO) VUV/UV broadband mirror coatings are designed to provide superior reflectance at critical vacuum wavelengths. 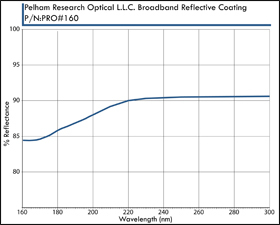 This provides increased throughput for low light applications in the VUV wavelength range. 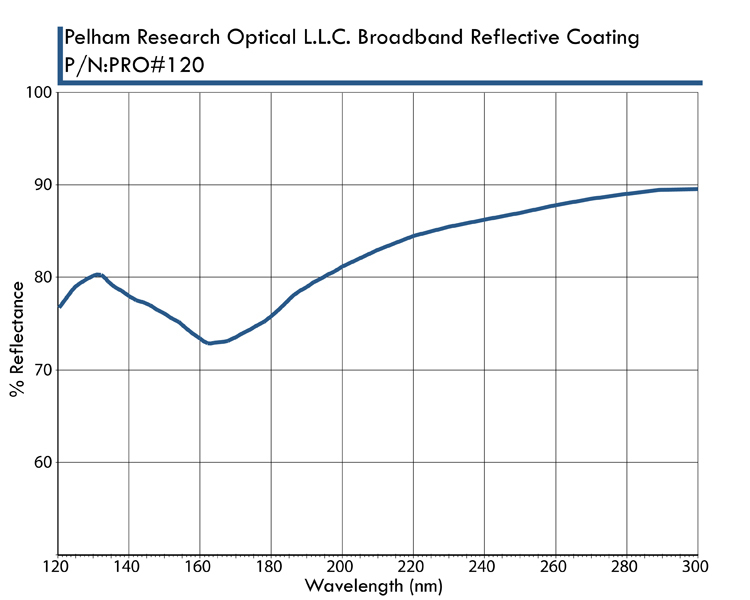 To ensure consistent quality every coating batch is measured for reflectance at 12 degrees AOI. 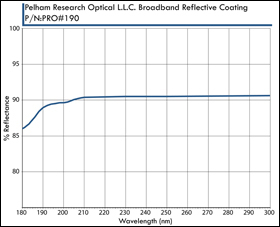 Coatings can be applied to Customer Supplied Material as well as supplied build-to print complete from your supplied drawings. 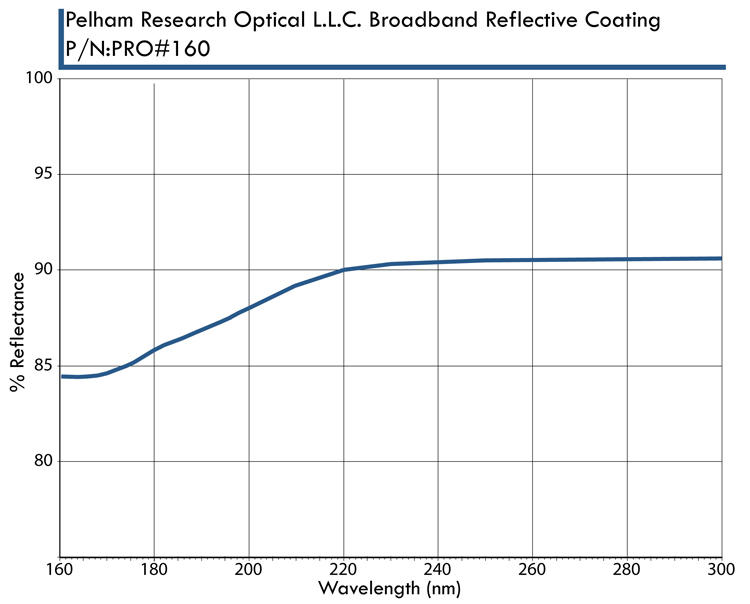 VUV/UV broadband mirror coating applications: Analytical, DUV Spectrometers, ICP Spectroscopy, Semi-conductor Metrology and Astronomy applications. 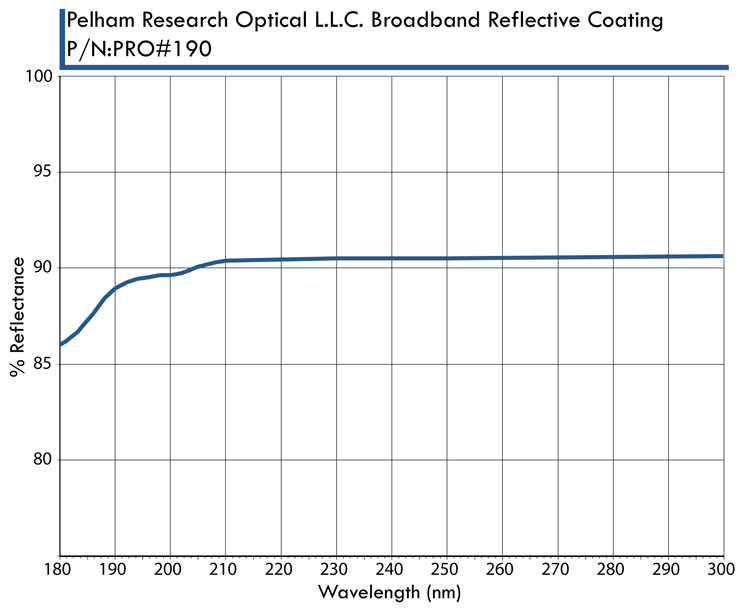 All Pelham Research Optical filters are supplied with individual UV % reflectance calibration curve detailing their VUV-UV spectral performance.